What’s going on down under at Vogue Australia? The magazine’s been serving up some questionable covers of late, having doused Rebel Wilson in a mountain of fabric and styled Gigi Hadid in ridiculous fashion last month. At least the styling is turned all the way down on the Aussie fashion bible’s August 2018 cover thanks to Christine Centenera. 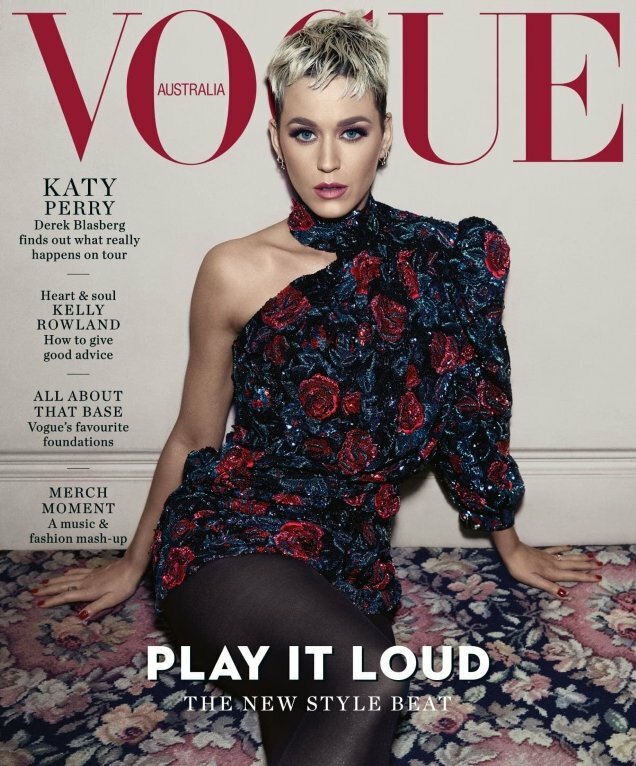 Making her debut on Vogue Australia (and landing her fourth Vogue cover) is Katy Perry wearing a floral embellished Saint Laurent dress in the Emma Summerton-shot cover image. From the get-go members of our forums weren’t feeling the cover. “All her Vogue covers are a nonevent, what a waste of her beauty, but of course she needs to end this era and get rid of that hairdo ASAP,” stated MDNA. “I’m all for artificial wigs, when the real hair is that bad,” exclaimed tigerrouge. “Agreed, they should’ve used a wigged image for the cover,” replied russianelf. “Tragic. Vogue Australia is dying,” proclaimed MON. “Better than all her other Vogue covers combined,” reasoned Scotty. “Agreed. It’s not bad, but still Katy Perry…” confirmed ghostwriter10549. Are you into it? See more from Katy’s cover shoot and join the conversation here.